PTI’s custom designed filter manifolds integrate independent fluid system into one compact and efficient manifold providing greater reliability and improved maintainability while optimizing weight and mission performance. 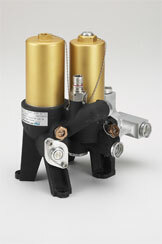 International customers have selected PTI as their source for filtration and fluid control products. PTI Technologies engineers reliable, high-performance and fully integrated filtration solutions for aircraft fluid systems. 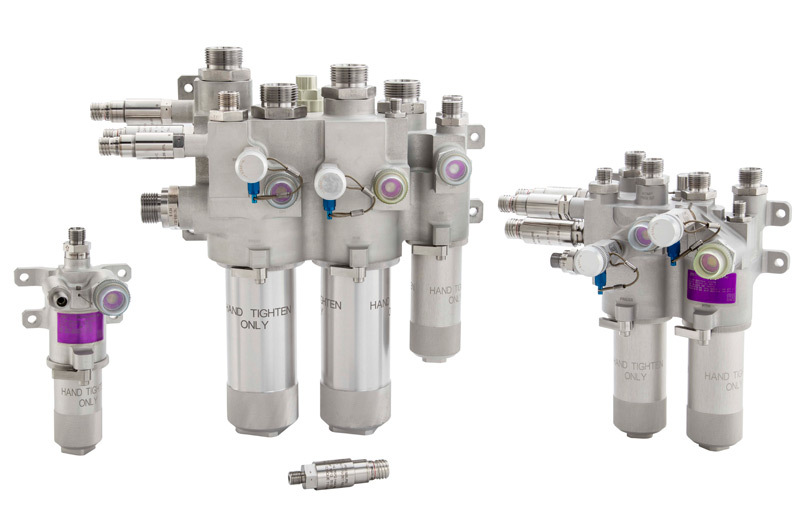 PTI’s complex filtration and fluid control manifolds ensure maximum protection and efficiency against contaminants in systems with operating pressures up to 5,000 PSI. Technical innovation enhanced by our customer focus has made PTI a trusted partner in the aerospace market. In addition to multi-component modules, PTI also designs and manufacturers filter sub-assemblies for direct integration into engine, gearbox or pump housings. The engine lube filter sub-assembly for the JSF F-135 engine consists of a filter bowl, filter element and a combination valve assembly with by-pass, shut-off and reverse flow functions. 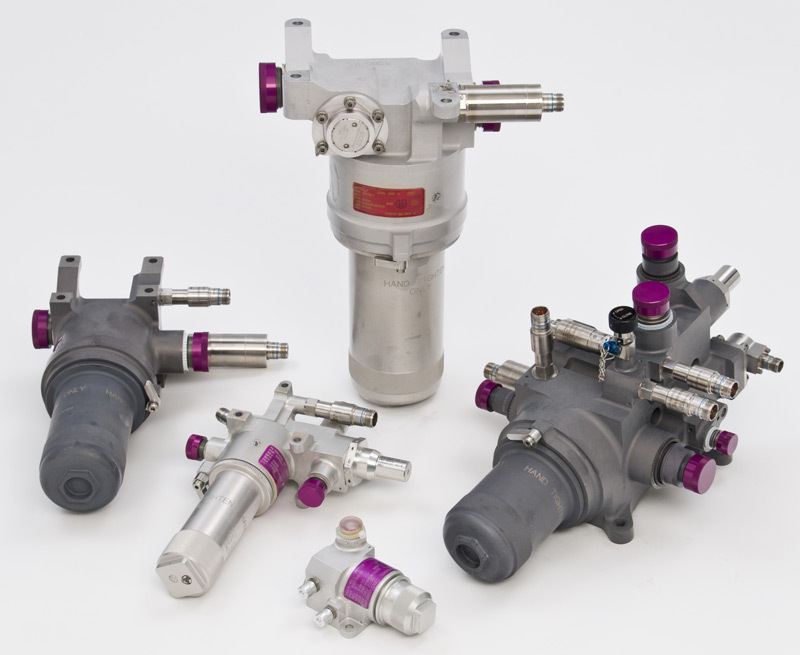 PTI Technologies designs and produces many of the hydraulic filtration components on Boeing’s family of aircraft. Our product content ranges from individual filter elements to complete integrated hydraulic system modules like the Boeing 767 Engine Driven Pump / Air Driven Pump Module. 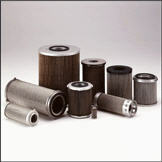 PTI Technologies designs and produces many of the Hydraulic Filtration Applications on Boeing’s family of Aircraft. Our product content on each of these applications ranges from providing individual filter elements to complete, integrated system manifolds. PTI has developed a number of innovative filter designs and aviation firsts. The RR 250 Combined Engine Fuel Assembly filter module is a unique design which incorporates engine lube and fuel filters in the same module. This design provides significant weight savings and a smaller space claim as well as the added benefit of cooling the lube oil via thermal transfer with the relatively cool fuel. PTI’s multi-component modules combine a number of functions into a compact package. The EJ 200 engine lube oil filter module for the Eurofighter incorporates both pressure and return lube oil filtration as well as bypass valves and electrical / visual indicators. PTI Technologies designs and produces a wide range of hydraulic filter elements used in today’s commercial and military aircraft and ground support systems. 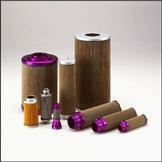 Filter elements comprised of depth-type filtration media combine high efficiency particle removal while optimizing contamination capacity. Operating environments include pressures up to 5,000 psid and temperatures ranging from -65°F to 350°F. PTI provides filtration solutions for engine applications ranging from the PT6 to the PW4000 series engines. Applications include fuel, lubrication and pneumatic systems. Filter elements of the constructed of depth-type filtration media or woven wire mesh are offered in both disposable and cleanable configurations. 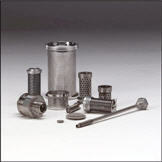 In addition to pleated filter elements, PTI provides screen, strainer and metal edge type filter elements for use in last chance, fuel wash flow, scavenge lube oil and other systems requiring protection for downstream components. Drawing on our longstanding experience in the design, and production of metal fiber media filter elements, PTI has led development of improved hydraulic system filter elements for the US Army. Early tests have shown a significant improvement in system cleanliness, on stream life and resistance to cyclic flow contaminant migration. This rolling diaphragm indicator detects differential pressures as low as 5 psid +/- 0.5 psid up to 15 psid +/- 1.5 psid while maintaining a size compact enough to be mounted in a SAE-AS33514-8 port. High pressure sensing port is located radially on the OD just below the .750-16 UNJF mounting threads with the low pressure sensing port opposite and along the axis of the signal button. Signal: Visual. Reset: Manual. Electrical and visual design couples MIL-S-8805 microswitch to the magnetic pop-out button. The mechanical motion of the pop-out button drives the snap acting SPDT microswitch. The switch can be wired for normally open or normally closed circuits. Hermetically sealed, gold contact switches recommended for all high temperature (to 500ºF) or low load applications (6 Volt, 0.010 amp circuit). Many mounting configurations and electrical connectors are available, or can be built to customer specification. Signal: Electrical and Visual. Reset: Manual (Automatic reset also available). This indicator has a high pressure sensing port located at the bottom of the indicator, opposite and along the axis of the signal button. The low pressure sensing port is located radially. Signal: Visual. Reset: Manual. Compact design provides a visual pop-out button signaling impending bypass. With the application of additional pressure, the indicator cracks to permit bypass. The standard unit designed for use with a 0-12 GPM flow rate, 50 psid +/- 5 psid actuation, 60 psid +/- 10 psid cracks with a 10 psid minimum between actuation and crack. High pressure sensing port is located at the bottom of the indicator, opposite and along the axis of the signal button. The low pressure sensing port and bypass openings are located. Signal and bypass functions are accomplished in a very small, lightweight package. The overall length of the indicator with bypass is 1.800″ with a 0.743″ OD. Signal: Visual. Reset: Manual.